A creator of textures starting from the silence. His sound could be work like an anagesic while you´re lying in the sofa...but sometimes like a rabble-rouser on stage or wherever you can´t stop dancing. Electronic sound which comes to join you...somethimes forever. Resonance is he stage name for Javier Pérez Rodríguez, an spanish electronic Producer and Dj who started his musical activity at the beginning of the 2000´s. Influenced by bands such as Orbital, Autechre and artists like Apparat, James Holden, or Paul Kalkbrenner, among others, explored the most experimental side of electronic music sharing his own vision of dance sounds to develope intelligent techno, IDM, minimal tech and electro sounds. In 2007 his first international success came along with “Cutting Lips”, a minimal tech-house orientated ep which raised high positions on Beatport and Juno Records charts and allowed him to play across europe. His tunes such us “Doplex” or “Neon Cooper Gain” where very demanded by djs and audience back in the days. 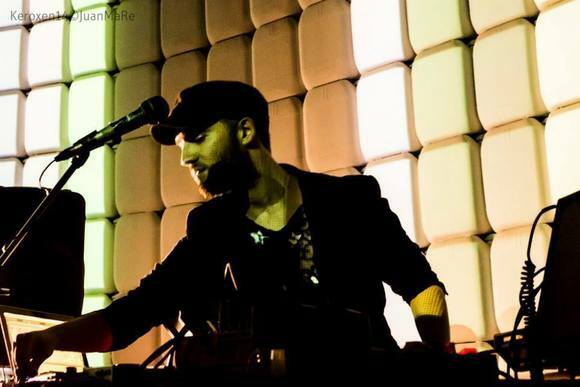 In 2013 after a break playing live and Djing , Resonance unhappy with arrangements and musical barriers, flirts with different styles such as Shoegaze house and Krautrock, without staying too far from the sound of his first productions which were more techno and danceable. All this sound palette is reflected in the eight tracks that conform his album “Skygaze”. An elegant collection of instrumentals and songs, in which Resonance himself sings, comprises the soundtrack for an ascending cinematic journey from his inner micro-universe..., passing through earthly moments that obey our primary instincts, on towards outer space. In 2016 presented his latest creation: “Ligt Continuum” a symphonic-techno soundtrack which tells an emotional journey taking Light simbology as an element that can be as fragile as strong, transporter and still, fleeting and perpetual...The album itself contains vocal and instrumental pieces which appear as true precious and overwhelming hymns with the common base of taking the listener into an impressive landscape surrounded by overflowing synthesizers, liquid guitarrs and multilayer sounds. Pure electronic music which allows dreaming. This album was regarded as one of the best top 10 electronic albums of spain of the year. Currently he´s playing “Light Continuum” as Live set and also as Djset dus expanding his music and sharing his musical influences with the audiences around the globe. As a Dj, among his musical tastes, we can find elegant tiemeless house tracks by artists like John Talabot, the sotisficated deep house by Aparde and the exciting power of techno tunes provided by labels like Drumcode, Suara and other artists such as Guy G, Uner, Resonance himself and many more.